iTrinegy, the Virtual Test Network Specialists, announced at VMworld Europe today, the availability of 10G capable versions of its Flex Network Emulator range. These latest additions will enable enterprises to scale their Virtual Test Environments with a highly realistic replica of real-world networks in which they can verify application performance and have confidence that changes to existing, or the addition of new services, are fit for purpose. 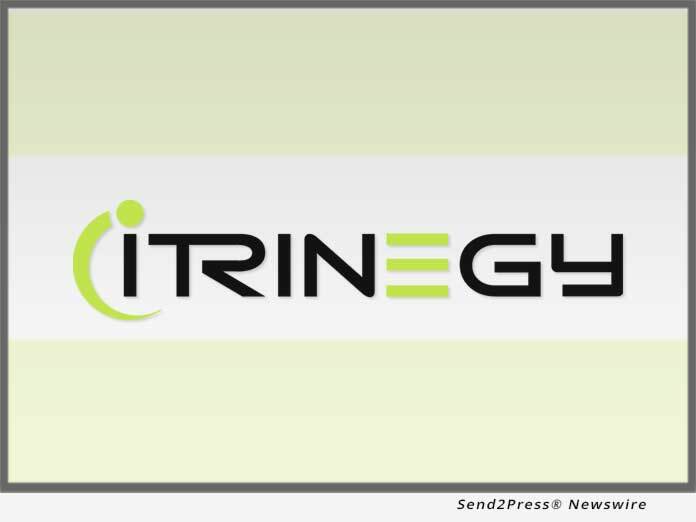 (BARCELONA, Spain) -- NEWS: iTrinegy, the Virtual Test Network Specialists, announced at VMworld Europe today, the availability of 10G capable versions of its Flex Network Emulator range. These latest additions will enable enterprises to scale their Virtual Test Environments with a highly realistic replica of real-world networks in which they can verify application performance and have confidence that changes to existing, or the addition of new services, are fit for purpose. iTrinegy pioneered the development of Virtual Appliance Network Emulators with its NE-ONE Flex range. Today's announcement means that the digital business can conduct pre-deployment validation of application performance over higher capacity Virtual Test Networks in a safe, controllable and repeatable environment, helping them to identify and address the causes of potentially poor response times before they can impact user experience, lead to reputational damage or loss of revenue. This new 10G capability for VMware vSphere virtual environments has been incorporated into both the NE-ONE and the INE product ranges which are well suited for creating a variety of network types from point-to-point to sophisticated fully-meshed topologies. "Enterprises continue to adopt new IT delivery models. iTrinegy recognizes that Network Teams require an easy way to spin up Virtual Test Networks in which the business can verify application performance. In particular, we see a growing number of workloads may reside in the cloud, and with Flex Network Emulator enterprises can easily scale their Virtual Test Environments," explains Frank Puranik, iTrinegy Product Director. Visitors to VMworld Europe can find out more about iTrinegy's Virtual Appliance Network Emulators by engaging with their technical specialists on Stand E623. iTrinegy, The Virtual Test Network Specialists, enables organizations to accelerate the agility and rate of innovation in their transition to the digital business. iTrinegy's Virtual Test Network solutions provides a powerful environment where new levels of validation can be performed and risks mitigated, protecting the business brand, reputation and revenue. iTrinegy's global customers include Cisco, DellEMC, Fidelity Investments, National Australia Bank, British Telecom, Nokia, Orange, WB Games, Electronic Arts, Lockheed Martin, Northrup Grumman, QinetiQ, UK MoD, US Army, Australian Defense, McKesson, GE Healthcare, Burberry and hundreds more.